And just like that, I’m writing the last blog post of 2016. Isn’t that crazy? It always seems like time passes so quickly without much happening, but then I think about everything I’ve crammed into the year and realise that actually, I’ve been busy for most of it. I’ve seen a lot of people say they can’t wait to put 2016 behind them and I can’t say I blame them, frankly. 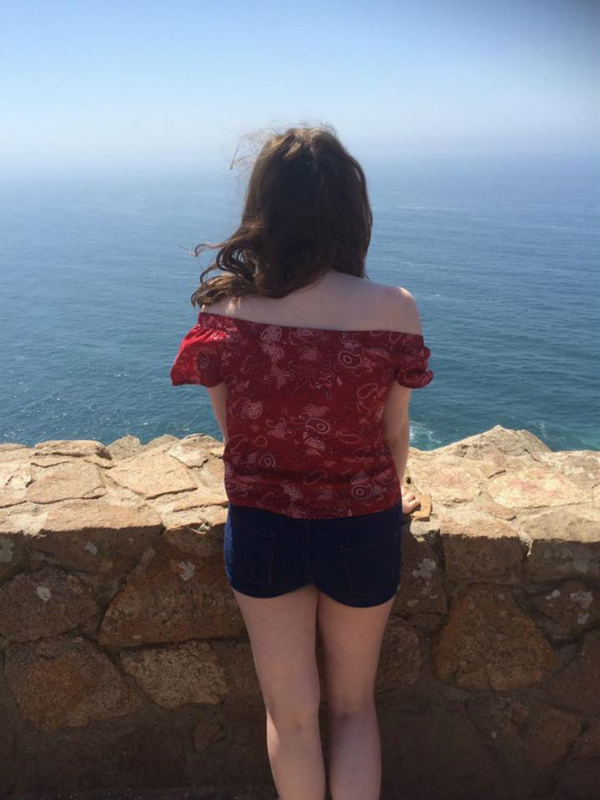 I’d like to think I was contemplating something deep and meaningful, but I’m pretty sure I was just amazed at how big the Atlantic Ocean is. Give the blog a bit of a makeover: Done. I love my header (thank you, Jemma!) and while I wouldn’t rule out a change in future, I’ve found a template I’m happy with for now. Make the most of my last days as a student: Done. I went on plenty of adventures with my housemates and spent time with my uni friends before I left. I miss it and them so much and there are still places in Wales I’d love to explore, but my last weeks there were good. Graduate from university, preferably with a 1st: Done. I always feel mega awkward talking about achievements (too British for my own good) but I’m really bloody proud of this one. I wanted that first class degree so badly, so I’m thrilled my hard work paid off. Find an internship and/or graduate job: Done — sort of. Although I’m currently unemployed I recently completed a four-month copywriting internship at a digital marketing agency in London, so I feel like I can tick this off the list. Visit my friend Giulia in Italy: Not done. In fairness Giulia has barely been in Italy, but this definitely something I need to do when we both get a chance! And done to much more of an extent than I initially expected! In September I stopped eating meat and I’m slowly cutting out dairy. I’m not planning to go vegan at this point in time; I’m still eating fish and eggs for now and while I’ll stop eating fish on Monday, I think I’d struggle with eggs. But life as a pescatarian has definitely made me think more about where my food comes from. It’s also made me experiment more when it comes to cooking, which can only be a good thing! How was 2016 for you? Let me know in the comments (and feel free to link to your own goals, I love reading about them)!